Kathryn Ashcroft was born in a small, Northern Utah farming town in 1961. She was raised on the family dairy farm where animals were fed before people were and a strong work ethic was instilled in her at a very young age. Many hours were spent on the back of a horse and riding was her favorite pass time. Her Mother, also an artist, created beautiful paintings in oil and this was a great source of inspiration. Kathryn began drawing animals very early and was encouraged and taught by her Mother and by Nature. Kathryn began working in oils in 2004. 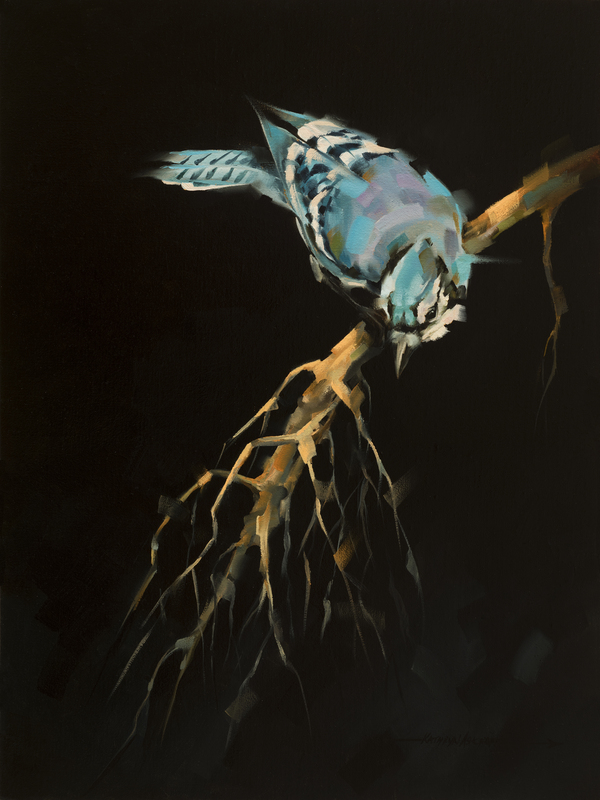 Striving to convey the essence of the animal, as opposed to a detailed depiction, she uses a loose, painterly style. 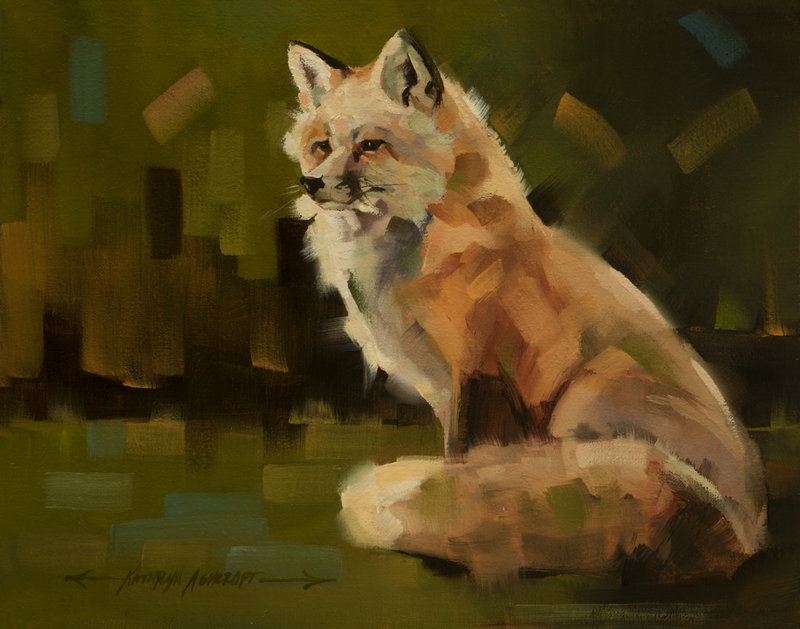 The result is a beautiful rendition of what the viewer would see if they were viewing the animal in the wild. Abstract backgrounds bring the focus of the painting to the animal itself. As a child, Kathryn had ample opportunities to view wildlife in its natural environment. She continues observing and studying animals every day and her paintings are based on personal experiences that she has had. She will not paint an animal unless she has seen it and studied it in the wild. Countless hours are spent outdoors and in nature capturing reference material for her artwork. 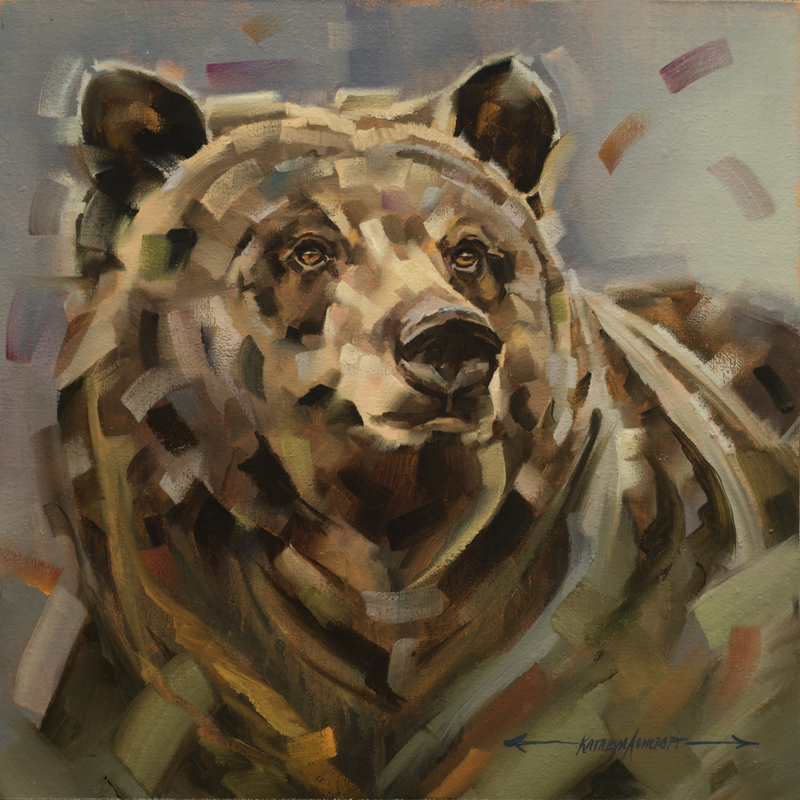 While the main focus of her work is Wildlife Kathryn also paints Western themes. The use of light, color, shape and value are important to Kathryn and she is constantly striving to bring all dimensions of her paintings to a higher level. Kathryn’s work is found in collections across the country and internationally. It is her desire that all who view her work will have a greater appreciation for the natural world.